Malaysia has released the raw data used to determine that the missing Malaysia Airlines flight MH370 crashed into the southern Indian Ocean. The data was first released to relatives of passengers, who have been asking for greater transparency, before copies were also provided to media. The document released on Tuesday comprises 47 pages of data, plus notes, from British firm Inmarsat. 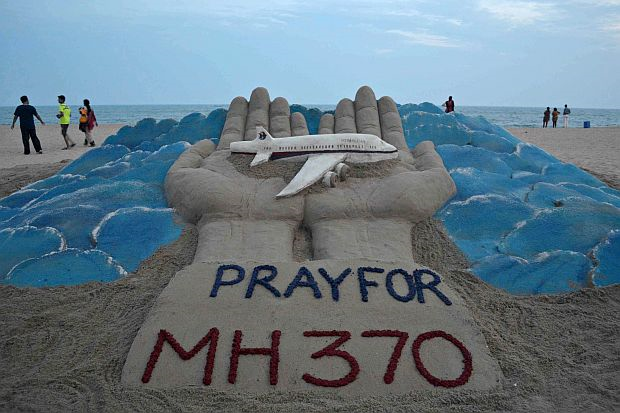 Flight MH370 went missing on March 8 as it flew from Kuala Lumpur to Beijing. There were 239 people, mostly Chinese nationals, on board. No trace of the aircraft has been found, nor any reason for its disappearance. The satellite data released includes the hourly “handshakes” between the plane and a communications satellite that led investigators to conclude that the plane ended its journey far off Australia. “Inmarsat and the DCA have been working for the release of the data communication logs and the technical description of the analysis,” Malaysia’s civil aviation authority said in a statement. Meanwhile, a sea-bed search for the missing plane is continuing in waters far west of the Australian city of Perth. The robotic submarine Bluefin-21, on loan from the US, is still being operated off the Australian vessel Ocean Shield. The Bluefin-21, which can identify objects by creating a sonar map of the sea floor, restarted its mission last week after experiencing technical problems. It is expected to leave the search area on Wednesday and return to base on 31 May, said a previous statement from Australia’s Joint Agency Coordination Centre, which is leading the search. The Bluefin-21 completed the initial search of the area where acoustic signals thought to be from flight recorders were heard without finding anything concrete. The Australian government is now preparing for a fresh deep-sea search using commercially-contracted equipment. Are Nicki Minaj's ribs removed?